Very few people are going to read this post. You see, I can look at the site stats for this blog and see what people look at. The two big subjects are aquaponics and chicken coops. Really? Nothing else interesting here? This really irks me. You should be excited about grapes. You can grow them if you have a postage stamp back yard. There’s simply no excuse if you’re a homesteader and you don’t have a few vines. Here are some reasons to grow grapes. Grape vines take very little maintenance. I rented a house near Glenns Ferry, Idaho a few years ago. It had a small orchard and a space for a garden. It also had a grape vine. The trellis had collapsed and the vine had been neglected for a couple years. 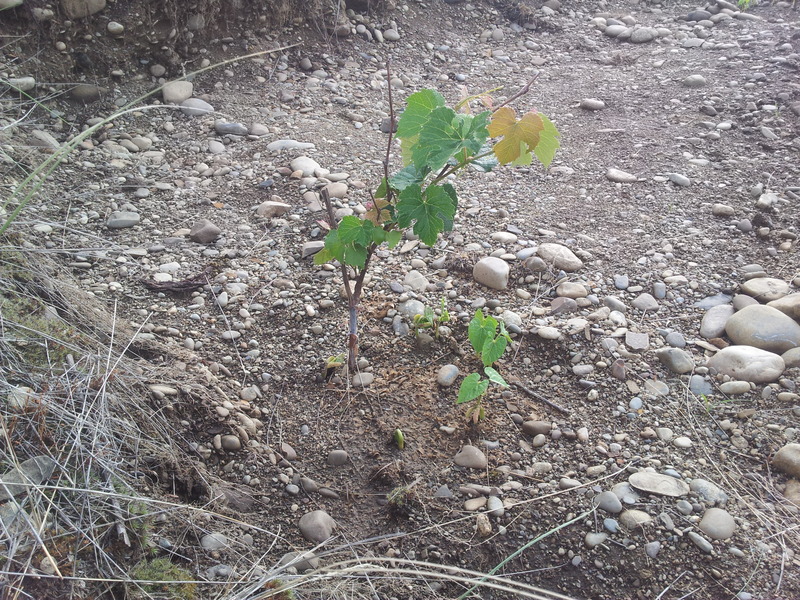 The vine was flourishing even though it was on the ground and no one had been maintaining it. We had lots of grapes that summer. Grapes do well in poor soils. Got poor soil? You probably have a cash crop in grapes. Grapes tend to focus on fruiting rather than vining so much when they are in stony or sandy soil. Grapes don’t take a lot of water. They really don’t. Grapes are usually watered with drip irrigation. They take a lot less water than corn, beans or tomatoes. Remember, the goal is to grow grapes, not vines. Grapes take up very little room for what they produce. 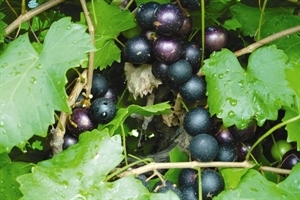 An established grape vine will produce between 5-11 lbs of grapes. This is in commercial production where the later ripening clusters are thrown away. Grapes sell. Sell them at a farmer’s market. Sell them at your stand next to the road. Offer “You Pick” prices. Grapes are Marketing. People who come to buy your grapes will buy other things if they look good. Sell them veggies, butter, cheese or milk. Sell strawberries. Get some vines and plant them before winter! one reason I don’t grow grapes…my dog. I had a grape vine in the backyard and am planning to tear it out, as he goes after the grapes. Can’t blame him – they are tasty. However, since they are dangerous to dogs, I’m gonna have to pull it out. It’s odd that some dogs can be affected and others not. Chris is referring to renal failure that occur when dogs eat raisins or grapes. Not all dogs are affected, but it’s a good idea to fence your grapes if you have dog(s). Thank you so much for you insights. I will be planting grapes. I am just captivated by the planning of adding grapes to our garden this year! Thanks for the info!